The system provides different types of email and sms campaign reports. 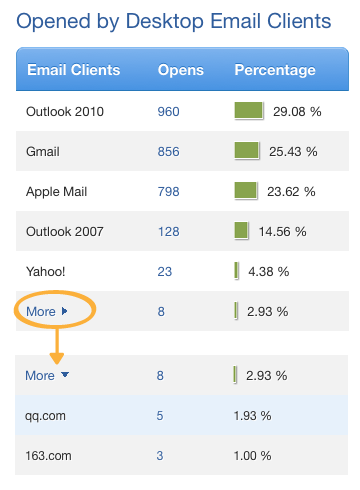 These reports help you to polish your campaigns and create emails that get more attention. The reports cover sent, unsubscribes and delivery locations of your campaign. Some other basic information is also included. After setting up a campaign, you can click the campaign name in the campaign list to view its reports. You can click the progress bar to check the number of emails / sms messages sent and pending. Click on the numbers to access particular details. 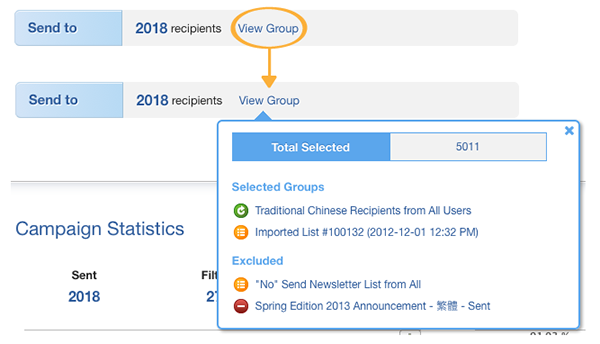 In each details page, you can save those contacts as a new group. In some sections, you can click [Show More] at the section end to view additional information and then click [Hide] to collapse. In some charts, you can click [More] to see additional details. The system also provides graphical reports. 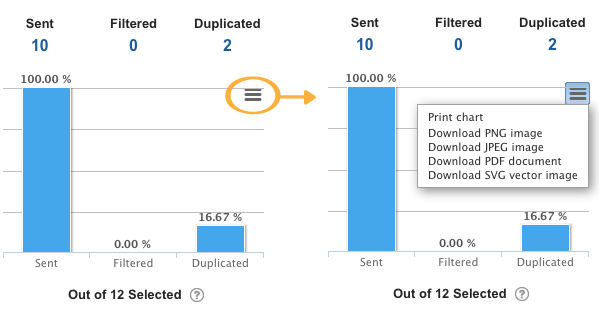 You can print and save chart by clicking the button at its top right corner.